The Democrat half of the House Select Benghazi Committee issued a partisan report on Monday that disclosed, but buried (on page 28), the shocking news that former Secretary of State Hillary Clinton emphatically stated in private that the Benghazi attack was not motivated by an anti-Islam video as she was saying in public. The news media which had access to the report all week did not report Clinton’s startling contradictory statement. Instead it was brought up by Rep. Jim Jordan (R-OH) at Thursday’s hearing. A Google News search shows that only the liberal New Republic reported Clinton’s statement from the Democrat report, but only in the context of running interference for Clinton. “Subsequent revelations cast this initial assessment into doubt, driving the intelligence analysis temporarily toward the incorrect conclusion that a protest gave rise to the attack. 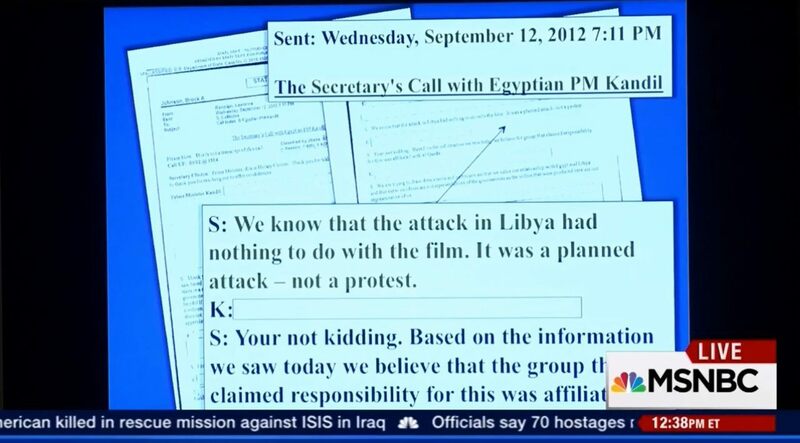 But stripped of that context, it looks like Clinton and the Obama administration knew full well, all along, that the attack was premeditated, and then lied about it. An overwhelming number of Benghazi leaks and allegations involve the same kind of deceptive decontextualization, and have turned the true history of the attacks into a cynical and exploitative hall of mirrors. Diplomats, especially the top diplomat–the secretary of state–know to use precise language in their dealings. Yet the media, which had the report since Monday never reported this. Some watchdogs.